Undefeated, hard-hitting Puerto Rican sensation Miguel Cotto will be featured as the top undercard attraction of the Vitali Klitschko-Danny Williams world heavyweight championship fight on Saturday, December the 11th, live on HBO Pay Per View from The Mandalay Bay Resort and Casino in Las Vegas. Cotto will make the first defense of his World Boxing Organization (WBO) junior welterweight title against former world champion Randall Bailey. 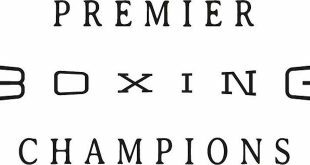 The bout will be presented by Top Rank, Inc. in association with K2 Promotions and featured live as part of the Vitali Klitschko vs Danny Williams pay-per-view telecast, which is being produced and distributed by HBO Pay-Per-View. It begins at 9 p.m. ET/6 p.m. PT and carries a suggested retail price of $49.95. Cotto (21-0, 17 KOs), of Caguas, Puerto Rico, captured the WBO 140-pound title with a sensational sixth-round TKO over previously unbeaten Kelson Pinto on Sept. 11, 2004, on HBO. In a fiery, punishing performance, Cotto dominated the crowd-pleasing slugfest against his amateur nemesis. Regarded by many as boxing’s top young superstar, Cotto scored three knockdowns and staggered the Brazilian who defeated him twice in the amateurs several times before Pinto’s corner threw in the towel at 2:28 of the sixth. Cotto won his first belt on Feb. 1, 2003, when he scored an 11th round TKO over former world champion Cesar Bazan to garner the World Boxing Council (WBC) Intercontinental super lightweight crown. 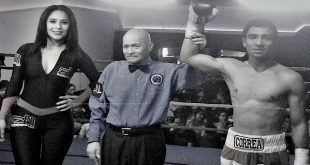 Before turning pro on Feb. 23rd, 2001, the prolific body puncher compiled an amateur record of 95-23 and was a four-time Puerto Rican national champion. Cotto represented his country in the 2000 Olympic Games. In an excellent main event between two of boxing’s hottest heavyweights, Klitschko (34-2, 33 KOs) will make the first defense of his WBC heavyweight title against Williams (32-3, 27 KOs), who is coming off an impressive, shockingfourth-round knockout over former undisputed heavyweight champion Mike Tyson. Klitschko won the then-vacant WBC belt with a one-sided eighth-round TKO over Corrie Sanders on April 24, 2004, on HBO. Williams overcame a slow start to completely dominate and ultimately stop Tyson in the fourth round on July 31, 2004, a victory that catapulted the hard-hitting Brit to his first world title appearance. Tickets for this exciting evening of boxing are priced at $650, $400, $200, $100 and $50 and are on sale now at the Mandalay Bay Box Office and all TicketMaster outlets. To order tickets by phone, call (702) 632-7580. The HBO Pay-Per-View telecast will be available to over fifty million pay-per-view homes. HBO Pay-Per-View is the leading supplier of event programming to the pay-per-view industry. For more event information log onto www.HBOPPV.com. 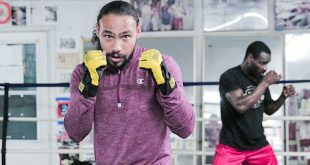 Previous Ward to Tour With U.S. Marines Boxing Team. 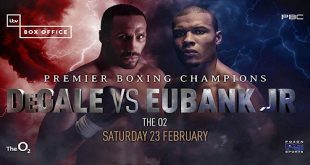 Next Harrison Stops Kebede and Calls Out Barrera!